The world has become digital nowadays, and with this digitization more advancement has been seen in the technologies. We have seen that most of the individuals making their career in web development because of its wide scope in the industries. Every organization has a separate team of developers and also offers so many opportunities to fresh candidates. Due to this many individuals plan to make their career in this. If you are a beginner and want to learn coding free of cost then, there is a number of online video tutorials available where you can start any course at any time. Video tutorials provide you an easy way to learn quickly and also updated you with every new technology. The new Boston: It is the most popular YouTube site to learn any of the programming languages. It contains more than 4000 videos and also it has millions of users. In this, you can learn both web development as well as Android app development languages including HTML, CSS, PHP, Java and many more. Open the YouTube channel the newboston and start with any language, you don’t need to register yourself or create an account to start learning. Programming Knowledge: This is the best site for the beginners to learn all about the android and java, C++ tutorials for advanced users. Here you can learn the basics easily and found all the latest updates to install or upgrade any of the setups. You can collect all the code that owner share in their videos. CSS Tricks: This channel is mainly focused on the latest CSS updates. This channel helps the customers to build a more responsive site with more attractive content. Here you can also find the WordPress videos. DevTips: It is also a good channel for those who want to learn basic and advance programming languages. In this channel, you may easily find the all the updates related to Recat.js, Bootstrap, GitHub and on many more different topics. Here anyone can find the tips to make a website easily. 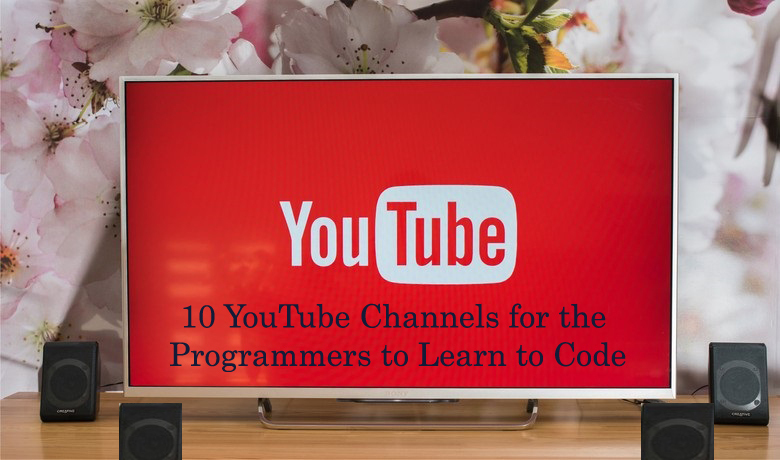 These are some of the amazing and popular channels to start coding. With online tutorials, you can start learning anytime and you can learn according to your time. If you face any problem in understanding their code then you can easily ask your questions on these channels. Every channel provides you the fast response to your queries. Decide what you want to learn front end and back-end coding. After learning you can web designing jobs and web development jobs in any big IT or MNC’s Companies. Candidates who are interested to make their career in development can do both full-time jobs as well as they can work as a freelancer. Khushboo Setiya is an online media enthusiast and a blogger who loves to pen down her views on a number of topics that interest a reader. She writes about various related topics such as Digital marketing, Web designing Techniques, IT Development and much more.